Meet Emily Peterson, a 17-year-old young scientist whose work may guide future wound healing studies. Emily is a finalist in the prestigious Regeneron Science Talent Search (some people call it the Junior Nobel Prize!) for her important science research. Emily was inspired to take on this project after volunteering at her local burn center. She even co-founded Boo Boo Bears, a charitable organization that donates stuffed bears to young burn victims. Scientist, humanitarian, and high schooler... quite the combo! What advice would you give to aspiring young scientists? I would tell a future young scientist to never become discouraged by failure or criticism. If you are passionate and know that your research will make positive change in the world, then you should continue to persist, even when it is difficult. Remember that anyone is able to do science with hard work. Do not let the desire to succeed overshadow the importance of maintaining ethical standards in research, and always put your morals first.! Tell us about your science project. I studied a protein called lecithin-retinol acyl transferse (LRAT). LRAT is interesting because it is implicated in healthy wound healing, but it is not produced in skin cancer. For my Regeneron project, I created a population of a type of skin cancer, squamous cell carcinoma (SCC), that produces LRAT. I then compared the behavior of SCC expressing LRAT to an SCC control without LRAT expression. This allowed me to assess the effect of LRAT on the skin cancer cells. I studied many characteristics related to both wound healing and cancer progression. One of my main findings is that LRAT improves formation of sheets of skin. My research overall suggests that LRAT is an important part of wound healing, and when cancer lacks LRAT, it has characteristics of an overhealing wound. This research is important because it can lead to improved treatment of cancer patients and victims of large scale wounds (such as burn victims). I was inspired to conduct this research by my volunteerism at the local burn center. In 2009, my younger sister (Olivia) and I established a charity called Boo Boo Bears. 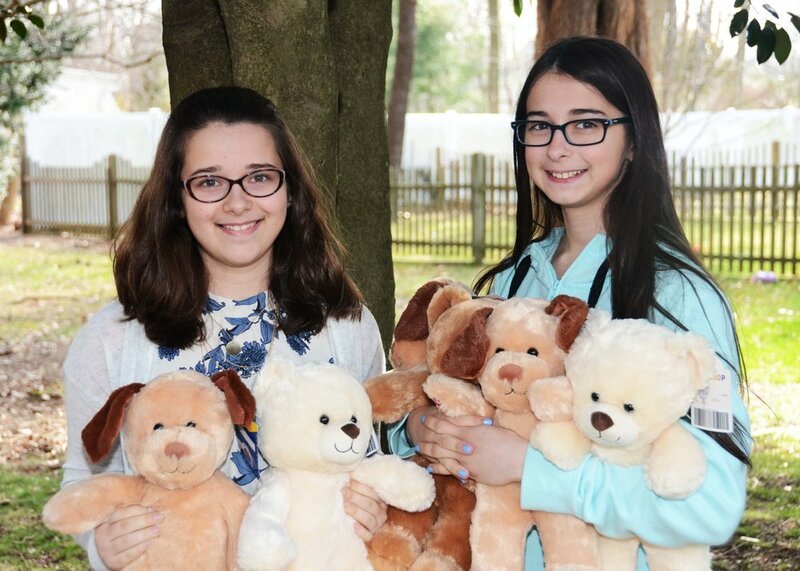 Through this charity, we donate and personally deliver stuffed bears to children hospitalized for severe burns. We also educate the community about burn safety and unify young people to support an important cause. Over the years, I have met many child burn victims and witnessed the devastation caused by large scale wounds. This is why I am so passionate about my research, as I have met the patients whom my research can one day benefit. In the future, I hope to complete an MD-PhD program and later work as both a clinician and scientist. I want to help individual patients on a daily basis and also make a broader impact with my scientific research. I am interested in fields like oncology, dermatology, pathology, and intensive care (specifically working with burn victims). I also aspire to become part of a missionary program for doctors and use my medical skills to help those in need.